Lots of people attempt coasters in this way. But this is the first one I have ever found that seems to really work and is truly COASTER LIKE. Lots of great pictures of the coaster here. 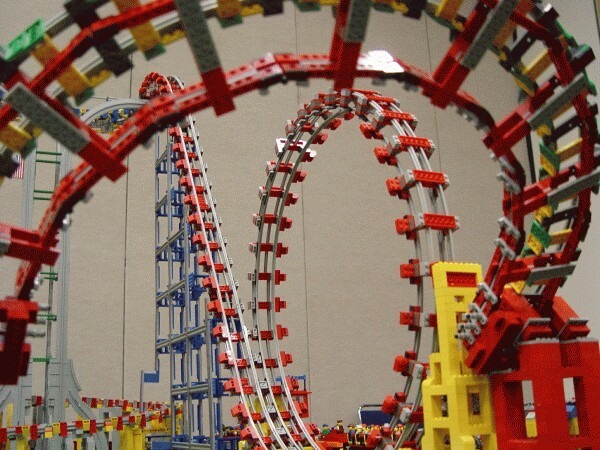 Here is the Roller Coaster in Action. 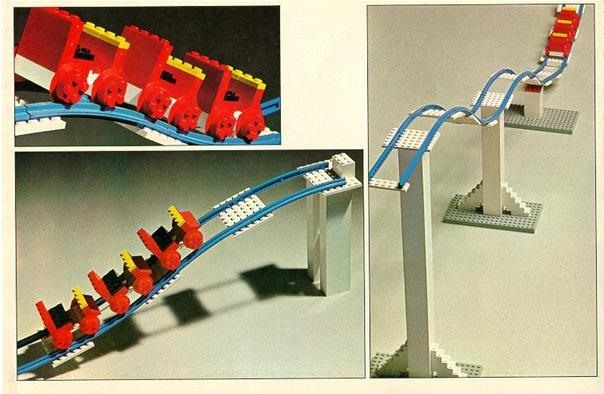 The track is based on suggestions found in the old LEGO train book. Turning the curves on their sides, allows them to become steep hills.